Retreating to the coast for a relaxing break has been a much loved British pastime for over a hundred years and it’s clear that the popularity of the seaside holiday shows no signs of decline. 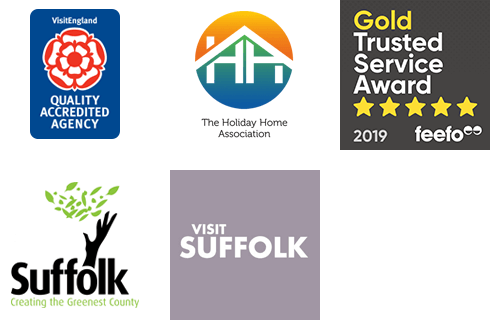 That’s why here at Suffolk Secrets we have worked hard to acquire the very best collection of Suffolk cottages close to the coast. So whether you’re looking for a quaint seaside cottage for two or a spacious coastal property for ten, we have something for you. Suffolk is home to a diverse coastline that is protected by the Suffolk Coast & Heaths Area of Outstanding Natural Beauty. This means that approximately 155 square miles of landscape are carefully managed so that plants and wildlife are allowed to flourish. When you’re out exploring the beautiful heritage coastline expect to encounter a wide variety of landscapes including wetlands, ancient heathland, shingle beaches and sandy shorelines. So whether you want to spend the day down the beach as a family or leave the kids at home and go for a romantic sunset walk along the shoreline, the Suffolk coast has it all. Another advantage of taking an invigorating holiday by the sea is the abundance of fresh seafood on offer. Why not visit one of the fresh fish huts down by Southwold harbour or on Aldeburgh’s iconic seafront and whip up a delicious alfresco meal back at your cottage by the sea. Alternatively pop out to the local ‘chippie’ and try their crispy battered cod or try the local catch at one of Suffolk’s excellent restaurants. Each one of our properties listed below are only a short distance away from the sea, so whether you want to stay in the charming seaside town of Southwold or the quiet coastal village of Thorpeness we have the perfect cottage to suit you. 72A High Street is a recently built apartment located in the heart of Southwold on the Suffolk Heritage Coast.